Do You Need Help with a Flood Claim? When a property is overrun due to a flooding, the flood itself comes in waves even after the water is gone. The flood of water first, unbiased and unrelenting as it consumes its newfound home and submerges what it can in its path. The second, being the pain of loss an owner feels over everything damaged by the flood. The third, and most taxing, is the stress and anxiety that stems from having to go through the claims process. You can begin to feel like you are drowning in this process, much like your beloved possessions. 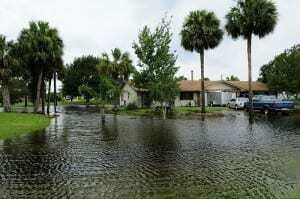 The third step, however, can be avoided with the assistance of our team of public adjusters in Florida, Georgia, and North Carolina. With the devastation of Hurricane Harvey at our heels, the world is seeing businesses destroyed and whole families displaced. In the wake of this tragedy the National Oceanic and Atmospheric Administration is estimating 40 billion dollars’ worth of damages so far. All of these people now have to trudge through the claims process in the hopes that they can achieve a sense of normalcy once again. Hurricane Irma is set to disrupt everything it hits as it gains strength in the Atlantic. Already being heralded as extremely dangerous by numerous news outlets, the southeast US is preparing for the worst. Hurricane Harvey being fresh in our minds, the Accredited Public Adjusters are prepared for what could be an onslaught of claims needing to be filed if Irma leaves as much wreckage in her path. Having a licensed public adjuster aid you in this process can maximize the settlement due back to you and arm you with the efficiency and knowledge only an experienced adjuster would have. At Accredited Public Adjusters, we are with you every step of your flood claim, handling it so that you can get back to your normal faster. If you are tired of struggling to keep your head above the water call Accredited Public Adjusters now at (855) 968-1900 to discuss your flood claim.